SELECT FEW is the 2nd book in The Select series, and we're excited to have Marit Weisenberg with us to chat about it. Marit, what was your inspiration for writing SELECT FEW? I had a few! My inspirations were the eerie western quality of HBO’s West World which I was watching at the time, the San Francisco Bay Area where I’m from originally and where I was visiting while I wrote a portion of the book and also, road trip books and films. There is some Bonnie and Clyde in Julia and Angus! All of the scenes from John’s POV! I knew I needed his voice in book two but I wasn’t sure how I was going to layer it in until the very last minute. Once I figured out that John was going to be “talking” to Julia through short interstitials and it would come to make sense why, it was such a relief. Then the moments from John were easy to write and I was just so glad to give him a place in book two. Scott Westerfield’s ZEROES in terms of regular teens with a dash of supernatural powers. Also, I loved that my agent compared David Levithan’s EVERY DAY to SELECT (the first book in the series)—both are love stories that ask the reader to accept the unusual/supernatural in a story that is otherwise very much grounded in reality. How long did you work on SELECT FEW? I had one year to work on SELECT FEW! Because it was a sequel, I had a pretty serious deadline. I wrote a first draft in about six months and then edited from there. It was fast and furious. Definitely it taught me that I can meet a deadline. It also taught me to keep my head down and focus because if I thought about it too hard, I might get very scared and not be able to produce a second book. The first book is easier in a lot of ways because you write it without any expectations. What do you hope readers will take away from SELECT FEW? Self-acceptance. Acceptance of others. The knowledge that you are the only one who determines how you feel about yourself. Julia has been labeled by her family and handed a less-than identity since she can remember. The series starts with Julia worshipping her family even as she has suspicions that she’s not the person they want her to be in order for her sister to shine. SELECT, book one in the series, was the first book I ever completed and I was so lucky to have it published. There were many, many, many drafts though! Definitely figuring out the stakes. For me, the tough part is figuring out the main problem of the novel that’s going to drive the story and keep it moving. I would much rather work on characters all day long! Which was what I was doing before I was gently reminded in a class that if I didn’t identify the problem, it would be a story where the characters hung around and nothing happened. I wake up at 5am during the weekdays and work for about an hour and a half. Then I get the kids to school and get back to my computer. But I feel lost if I don’t have that first early morning hour—that’s when I think most clearly. Usually I work at home but about once a week I’ll meet other writers or friends who work from home at a coffee shop so I can get out of the house and see people and have a feeling of community. Writing can be a very lonely profession! Just keep going and finish a draft. I struggle with that every book – I want to keep tinkering instead of charging ahead. But there is something about having a finished first draft; even if it’s so rough, you now have a whole story from beginning to end to work with. You can make sure you have the plot in place and then you can go back in and tinker with language. I’m currently working on a stand-alone contemporary YA. There are no fantasy elements so that’s new for me! It’s more psychological and takes place mostly at night. Marit Weisenberg received her BA in English from Bowdoin College and her Master’s Degree from UCLA's school of Theater, Film and Television. She has worked in film and television development at Warner Brothers, Universal, and Disney. She lives in Austin with her husband and two daughters. 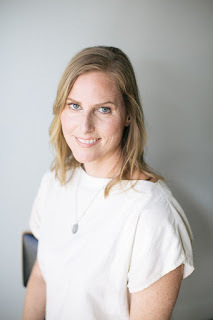 Marit’s debut YA novel is Select, and she worked on the first draft of the book over the course of eighteen months during Amanda Eyre Ward’s class ‘Write a Novel in a Year.’ As of now, there will be two books in The Select series. The series continues with Select Few. Have you had a chance to read SELECT FEW yet? Do you have trouble figuring out the stakes? Do you find it easier once you have a rough draft to work with? Share your thoughts about the interview in the comments!